What if your driver cannot find the precise location of your customer? GPS integration is one of the key features of any taxi app, which will help your drivers reach the customer’s pickup point and destination in a streamlined way with proper traffic updates and feasible route map. Payment gateways are the most prominent feature that would be the preference of many customers as it provides a seamless convenience in the digital economy. Moreover, you have to assure your customers that these payment options are secure to use and let them use it with an utmost convenience. Feedback is the most important one that helps you improve your service and understand where you stand. So opt your application with rating and review option to let your customers make comments and concerns on their experience. And also equip your driver app with the feature to share their concerns. Thereby, you can improve your service by fine-tuning things based on the feedback shared. The success of any business lies in its marketing strategy. 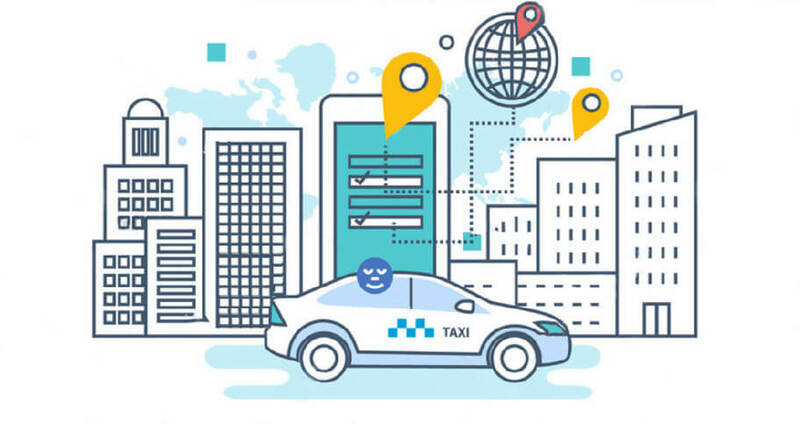 So your taxi management software must be equipped with the attribution to send notifications to your customers and targeted audience regarding your services, offers and discounts. The aftermath of many incidents questions the safety of passengers that turned out as an unfathomable challenge, which has to be addressed immediately. If your app provides a detailed profile of your drivers, your customers may use your taxi service confidently without any fear. Obviously, a taxi-hailing software must have two separate applications for customers and drivers for booking and accepting the ride, respectively. Make sure you have added all the required features that have to address the convenience of the users and can make the entire process of taxi booking and dispatching a hassle-free one.